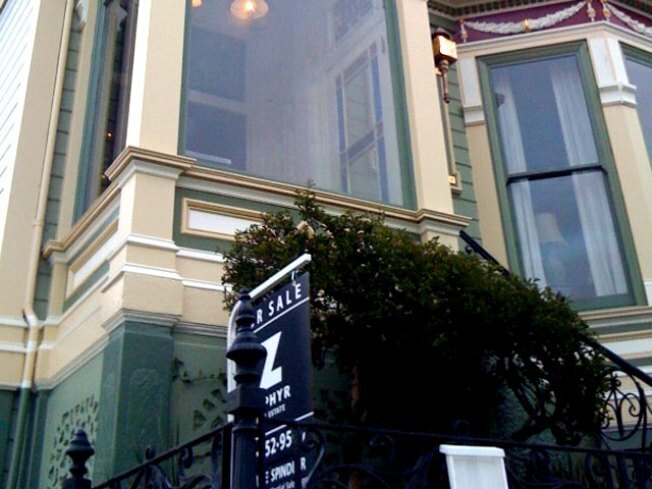 One of the famous "Painted Ladies" of San Francisco's Alamo Square is going on sale for $4 million. From the 1906 earthquake to Mary-Kate and Ashley Olsen, 722 Steiner has seen it all. And now the historic house, one of the famous "Painted Ladies" of San Francisco's Alamo Square, is going on sale for $4 million. In the ABC series Full House, the Olsen twins, John Stamos, and the rest of the Tanner-Katsopolis brood picnicked in front of 722 Steiner, also known as the Shannon-Kavanaugh House. Already, there's controversy over its TV pedigree. A commenter on San Francisco real-estate blog SocketSite claims that 1709 Broderick was the real Full house. In reality, the house was only shown in the opening credits. The show was filmed on the Warner Bros. lot in Burbank, Calif. The TV heritage and showcase location on Postcard Row seemingly command a premium price. Zillow, the real-estate Web site, estimates its value at a mere $1.479 million, based on recent sales of nearby houses. "I'm looking forward to finding the next guardian for this special home," said real-estate agent Bonnie Spindler, who is listing the house for sale. Let's just hope it's not an obsessive Olsen twins fan. Updated to reflect the boiling dispute over the house's Full House heritage.